Philanthropitch Brings Social Innovation Fast-Pitch Competition to Columbus! 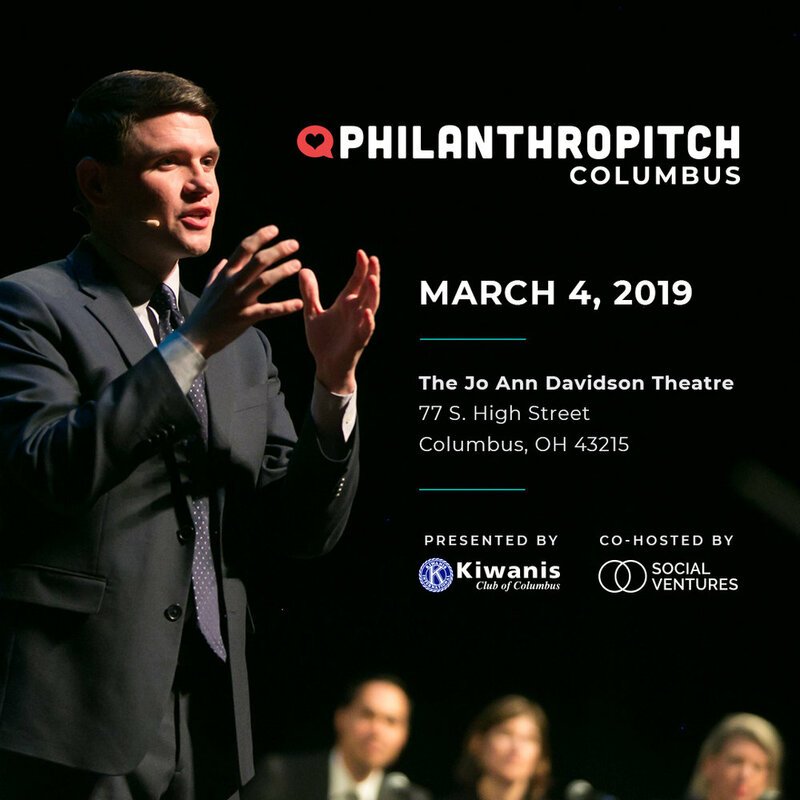 Philanthropitch, the social impact fast-pitch competition on a mission to scale innovative nonprofits, is proud to announce the debut of the first annual Philanthropitch Columbus taking place on March 4, 2019. Presented by Kiwanis Club of Columbus and co-hosted by SocialVentures, Philanthropitch Columbus will take place at the Speaker Jo Ann Davidson Theatre in the Riffe Center Theatre Complex. Founded in 2013 in Austin, Philanthropitch has awarded over $900,000 in donations over its five-year history. Philanthropitch is a growing, annual celebration of nonprofit innovation expanding to communities nationwide. Accelerating nonprofits by providing the risk capital they need to expand their impact, Philanthropitch helps nonprofits fund initiatives that aren’t covered by traditional grants. The first annual Philanthropitch Columbus will showcase a high-impact group of innovative nonprofits within the local community. With an application period opening later this year, Philanthropitch Columbus selects participating nonprofits based on the scalability and sustainability of their impact-based model. Philanthropitch is redefining how corporations and communities award charitable donations while establishing an ecosystem that prizes social innovation in the nonprofit sector. Instead of attending the traditional fundraising gala, audience members can vote for their favorite nonprofit finalist to receive the event ticket proceeds as part of the Audience Choice Award. The Philanthropitch Columbus social impact pitch competition features a judges’ panel including Doug Ulman, President & CEO of Pelotonia and Columbus 2017 Nonprofit CEO of the Year. Additional judges will be announced later this year representing Columbus’ community of successful entrepreneurs and philanthropists investing in nonprofit innovation. Corporate teams also have an opportunity to participate in Philanthropitch as corporate supporters during a branded check presentation. Current Columbus corporate supporters include Jeni's Splendid Ice Creams. Opportunities to become a judge, sponsor or corporate supporter are available for local individuals and organizations interested in getting involved. Contact the Philanthropitch team at questions@philanthropitch.org to learn more or visit www.philanthropitch.org.